Faith adores having adventures away from home! This intrepid explorer enjoys being a part of her dance team and nearly always has a smile on her face. Curling up on the couch to watch Disney movies is a well-liked activity for Faith, and she loves singing along to all the songs. She also has fun whipping up baked goods with the adults in her life. 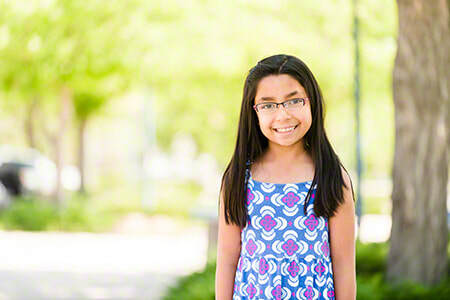 Known for her gentle nature, Faith adores helping others and has a soft spot for animals. She thrives on one-on-one interactions with adults she trusts. When Faith has worked up an appetite, pizza, spaghetti, and baked goods all sound delicious to her. Her favorite colors are blue, green, and purple. 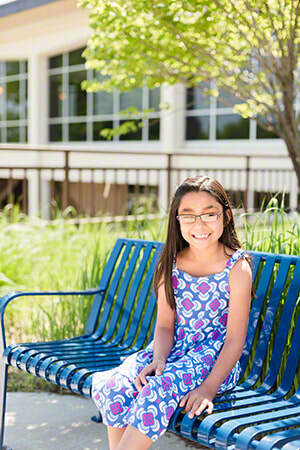 This fifth grader enjoys socializing at school. Faith would do best in a two-parent family in which there are pets; however, her caseworker will consider all family types. She would like to remain in contact with her foster parents following placement. Financial assistance may be available for adoption-related services.